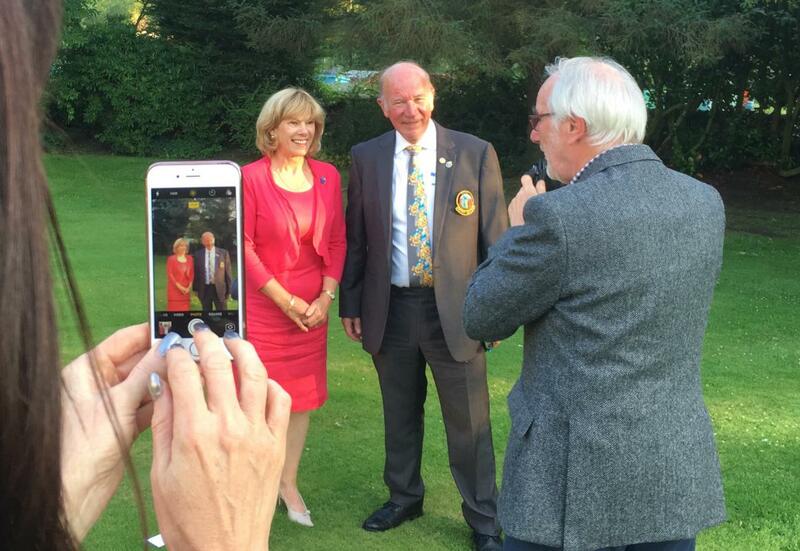 District Governor Graeme Archibald, and his wife Carol, from the Elgin Rotary Club was the guest speaker at this week's meeting of the Rotary Club of West Fife in what was a joint meeting with the Dunfermline Carnegie Club. He stressed that service offered, using hidden talents in Rotary clubs was so important when it comes to delivering Club, District and International projects. Graeme explained his own club's effort in contributing £14,000 to a global project in Nepal is a wonderful example of the ambitions of the Elgin Club. Rotary's effort to eradicate Polio is a big Challenge but one that both clubs here are totally behind. Both the West Fife club and the Dunfermline Carnegie clubs have no difficulty in pledging their continued support to Rotary's objective. It is estimated that through Rotary's work 16 million people have been prevented from contracting Polio. The District Governor in 1010 Scotland North is charged with visiting 90 Rotary Clubs and he summarised very astutely just what Rotary can achieve working together to Make a Difference.